As of 2009, Belarus has an estimated population of 9,648,533. Most of the people have migrated to the urban centers for greener pastures. In fact, the urban population accounts for 72 percent of the total population, while the remaining minority lives in many parts of the country. People of Belarus are mainly divided into five ethnic groups. Eighty-one percent of the total population is from direct Belarusian descent, which is why no tension of any sort exists between these five groups. The cultural beliefs and traditions of the people of Belarus have very close similarities to those of the Russians. When a person thinks about the World Wars engraved in the history of the world, Belarus may be the first place that comes to mind. The country offers a rich history of events during that time, including the Russian Socialist Revolution and Jewish History. Despite Belarus' continuous struggles toward improving its economy, it undeniably has so much to offer tourists. 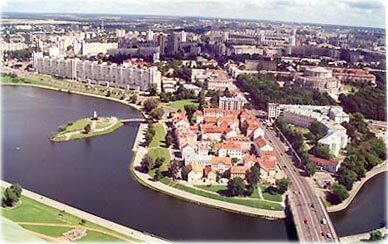 Belarus is a country with wide plains, over ten thousand lakes and deep dark forests. It is rich with natural beauty, which makes it a perfect tourist destination especially for those who want to experience a peaceful and relaxing vacation. Belarus appeals to those with a wide sense of adventure, or to people who have the desire to visit a place that has not been spoiled by mass tourism. Belarus is composed of uplands and lowlands that distinguish many places in the country. The uplands are said to have been created during the Ice Age. 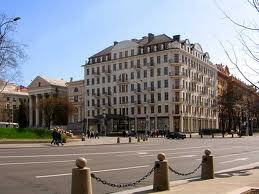 Belarus has an average elevation of 561 feet above sea level and has a land area of 34,116 square miles. The country's neighbors are Poland to the west, Russia to the East, Latvia to the north, Ukraine to the south and Lithuania to the northwest. Almost one-third of the country is covered with forests. It experiences temperate continental climate, which has winters that lasts up to 105 to 145 days and summers of up to 150 days. The average temperature in the country during the month of January is 21 degrees Fahrenheit while July has an average temperature of 65 degrees Fahrenheit. Besides the capital city of Minsk, other major cities in Belarus include Homjel, Hrodna, Mahiljow and Vicebsk. The early settlers of Belarus were Slavic people who arrived before AD 800. The country was ruled by Kiev from the ninth to 12th centuries before it separated into many principalities. During the 14th century, it became part of the Grand Duchy of Lithuania and was merged with Poland in the year 1569. During the World War I, Russia and Poland fought over the control of Belarus. The Treaty of Riga made both countries settle with an agreement that Poland would acquire the western portion of the country while Russia would retain the eastern portion. In the year 1922, the eastern portion was declared to be a republic of the Soviet Union. In 1991, the name Republic of Belarus was finally coined as the country declared itself as independent. In 1996, an agreement was made between Russia and Belarus to have close economic and political ties. Although Belarus is one of the not-so-famous tourist destinations, there are many places to see and visit in the country. 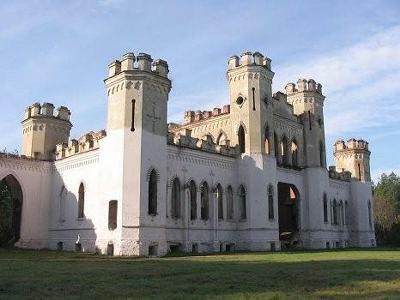 Belarus offers an affordable journey to a rich history and culture. For one to grasp a better understanding of Belarus, he should begin his trip by visiting the Belarus Museum of History and Culture that will take him through a detailed account of the history of the country. Another great museum is the Museum of Great Patriotic War that displays a collection that shows how Belarus was used as a battleground for the German and Russian armies. 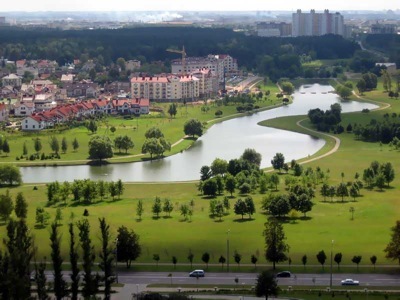 Aside from the historical places in the country, Belarus also has many natural attractions. This is also where the last piece of the primeval European forest is located. Belavezha is one of the most popular national parks in Belarus. Other attractions include the Belarus Typical Landscapes. Tourists can spend their time watching birds in vast fields. Nightlife in Belarus is as exciting as other places in Europe. During the night, there are different kinds of activities fit for different kinds of people. Tourists can choose among pubs, discos, opera houses or puppet theatres that are all entertaining. If you enjoy indoor activities, there are indoor games available such as billiards or bowling. There are many of these in the urban areas. A tourist can enjoy the night by joining fun-filled activities. You can either dance the night away and meet new people, or perhaps enjoy a peaceful cruise on a yacht. Whether you are into luxurious or simple activities, Belarus has something in store for you. The culture of Belarus was greatly influenced by the Soviet Rules. For instance, the majority of the population speaks Russian while the Belarusian language is spoken only in the remote parts of the country. The Belarusian culture stands out because it is rooted from the pagan, pre-Christian days. The pagan perception existed for quite a long time in Belarus, which profoundly influenced the culture of the country. 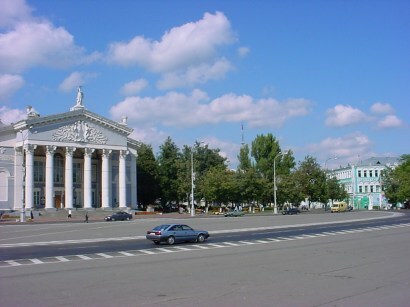 Belarus is popular for its ballet and opera. In fact, there are regular performances that showcase these Belarusian talents. The country is also famous for musical plays and comedy. Belarusian culture focuses on painting, sculpture, film, music, universal concerns and universal values. The cuisine of Belarus is based on national traditions that have been influenced by many cultures due to the country's long history. However, the basic methods of Belarusian cooking have been preserved by the people. The most common ingredient in most of their dishes is potatoes. In fact, potato is mentioned in many of their ancient and traditional songs and dances. Potato is included in many dishes such as salads, baked puddings and other foods. One of the country's most popular dishes is the draniki which is a thick pancake served with shredded potatoes. The climatic conditions of the country explain why many sorts of potatoes grow in many parts of the country. Other common ingredients in Belarusian cuisine are meats such as beef or pork. These are served together with carrot, cabbage, black radish and other vegetables.